What a better way to celebrate the solstice and the first days of winter than by embracing the cold and ice, the ices that is. Inspired by a friend who went deliciously crazy over making all sorts of ice cream last summer and since, we bought ourselves an ice cream maker. In honor of this momentous occasion, we have started down this crazy road ourselves, initiated by yesterday’s honeydew melon sorbet. 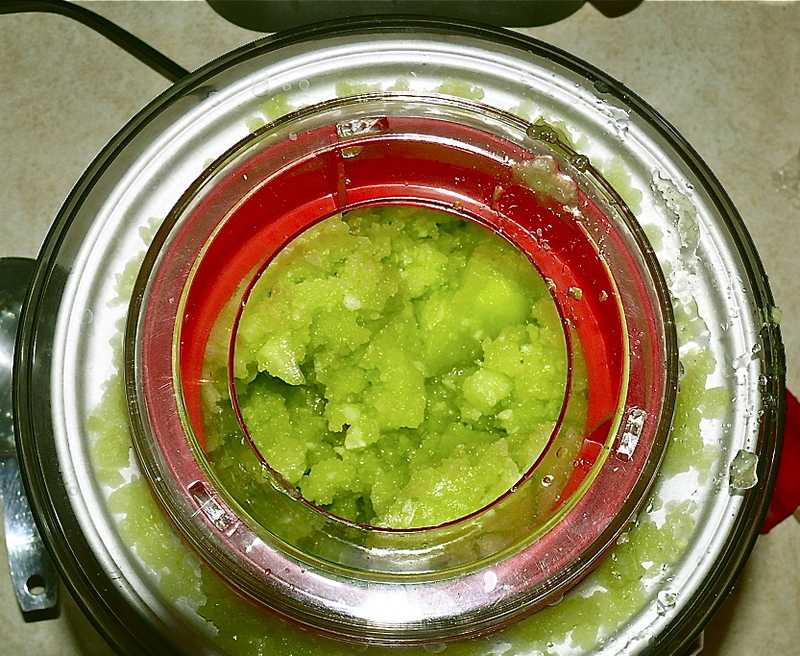 Above is the sorbet being “sorbeted” in the ice cream maker. Below is the final result. 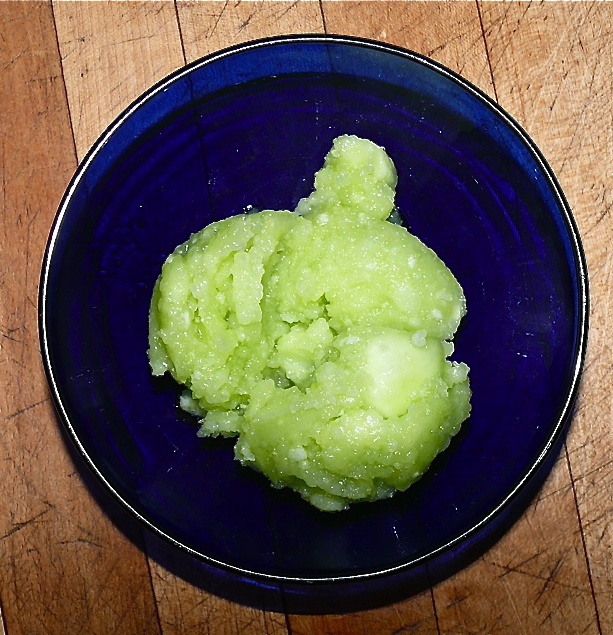 All we did was puree the melon, add a 1/2 cup of sugar, and a squeeze of lime and put it in the ice cream maker for 15 – 20 minutes. According to Wikipedia, the word sorbet comes from the Latin sorbere and the modern Italian sorbire which means “to eat and drink at the same time”. The fact that there exists a specific word to describe the experience of consuming sorbets demonstrates the high cultural regard for this deliciously sensual experience. I have to concur. The honeydew sorbet was sublime. This entry was posted in cooking, food, recipe and tagged cooking, food, honeydew, honeydew melon, ice cream maker, melon sorbet, sorbet. Bookmark the permalink. Delicious. Am tempted to run out and buy an ice cream maker or do they sell sorbet makers? Yay! Looks fantastic and I am proud to be the crazy friend who turned you on to eating and drinking at the same time!